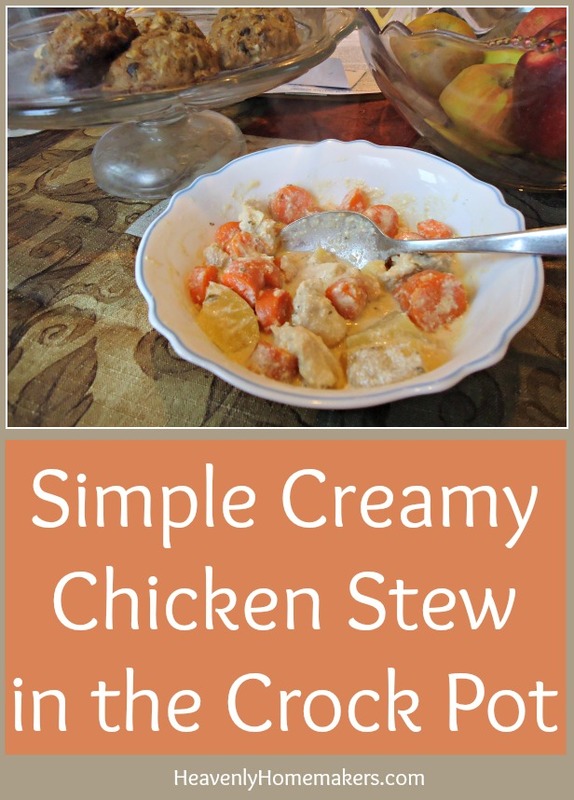 If you want something that meets all the criteria for nourishing comfort food, this Simple Creamy Chicken Stew is what you’re looking for. Probably one of my favorite aspects of this stew is the creaminess. The ranch dressing mix gives it wonderful flavor, and of course, the potatoes and carrots make this meal filling and nourishing. I love this stew! Whenever there are leftovers (rare, but hey, it does happen sometimes), I am so happy. Warming this up on the day after I’ve made it makes for such a happy lunch. 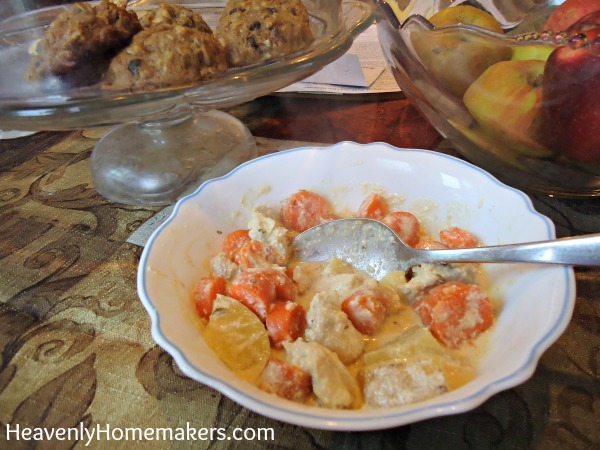 Cut chicken, potatoes, and carrots into bite-sized pieces and stir together in a crock pot. In a bowl combine cream, sour cream, chicken broth, and ranch dressing mix. Pour mixture over the chicken and veggies. Cook on high for 3-4 hours or low for 5-7 hours. *I highly recommend this Homemade Ranch Dressing Mix. You’ve been trying all the new Simple Recipes, right? So, I completely recognize that this isn’t how you wrote this recipe, but do you think I could get away with prepared ranch instead of sour cream and milk instead of cream? I’m afraid the milk won’t make it thick enough, but maybe??? Any words of wisdom? Hi Laura, thanks for the easy recipe! I made this a couple nights ago, and it was delicious. My dad is not a fan of ranch, but he ate it up with gusto. I will definitely make this on a regular basis. Laura, thank you so much for this delicious recipe! I have made it twice now to rave reviews from my husband, four kids, AND my parents (my dad kept saying, “this is really fantastic!”). I haven’t managed to be organized enough to make it in the crock pot yet, but it is pretty fast and easy to make on the stove. Both times I’ve added some frozen green beans for a few more veggies and have used your ranch dressing mix. The flavor is wonderful, and the stew is filling without being too rich. Thank you again for blessing our family with a new favorite! I was hesitant to put the milk and sour cream in the crock pot. I put the veggies on the bottom, precooked thighs on top and poured the remaining ingredients over everything. After 3 hours on high, the dairy products had curdled. It tasted great, just looked a little , um, gross. My picky eaters wouldn’t even try it. :( Other crockpot sources warn against long cook times for dairy products as it tends to curdle the milk. Next time I’ll stir in the sour cream and milk 30 minutes before serving, while prepping the side dishes and setting the table.